Since June 25, 2018 when TRON launched its MainNet, it has been running smoothly and stably for over 260 days by 27 community members; TRON’s ecosystem is constantly expanding, with hundreds of DAPPs on the TRON network; TRON has become one of the largest decentralized networks in the world. 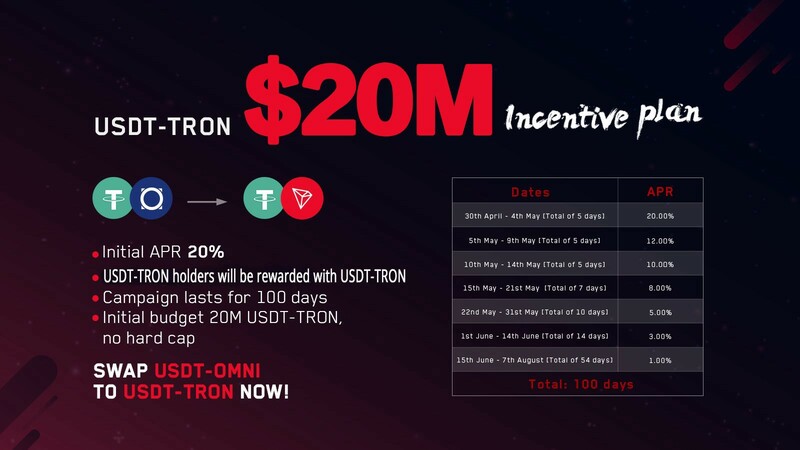 In order to give back to the community members, and celebrate the cooperation between Tether and TRON, on March 21, Singapore time, TRON announced a total of $20 million incentive plan, to encourage users to convert their USDT holdings into TRC20 based USDT, so that they can enjoy a faster, more economic and more concrete payment experience. 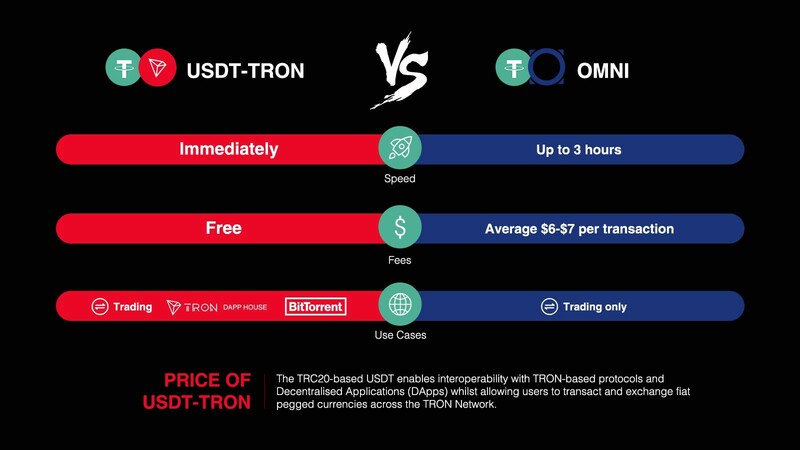 In early March, TRON has announced its partnership with Tether to issue USDT that anchors the USD with the rate of 1:1, which will help TRON greatly elevate its existing decentralized applications (DApps) ecosystem, improve overall value storage, and increase Decentralized Exchange (DEX) liquidity. It also makes the blockchain more accessible to enterprise-level partners and institutional investors. The existing stablecoins are mainly stablecoins designed for added liquidity by exchanges, which are single-use, slow in transfer and expensive to transfer. Following the issuance of TRC20 based USDT, users will be able to enjoy a stablecoin with fast transfer and zero transaction fee. TRC20 based USDT enables the interoperability with TRON-based protocols and Decentralised Applications (DApps) while allowing users to transact and exchange fiat pegged currencies across the TRON Network. The issuance of TRC20 based USDT will also further enhance the development of the TRON DAPP ecosystem. The stablecoin will allow users to access the DAPP ecosystem with a more familiar USD concept, and therefore mitigates the effects of price fluctuations, providing a better cash-in/cash-out and risk-avoiding method for DAPPs and enabling scalable application of DAPPs. From April 30 to August 7, TRON will work with world’s leading digital asset exchanges Huobi, OKEx, etc. to incentivize people who convert USDT-Omni into TRC20 based USDT by offering attractive interest rates paid without fees in TRC20 based USDT. This incentive plan will continue until the beginning of August. 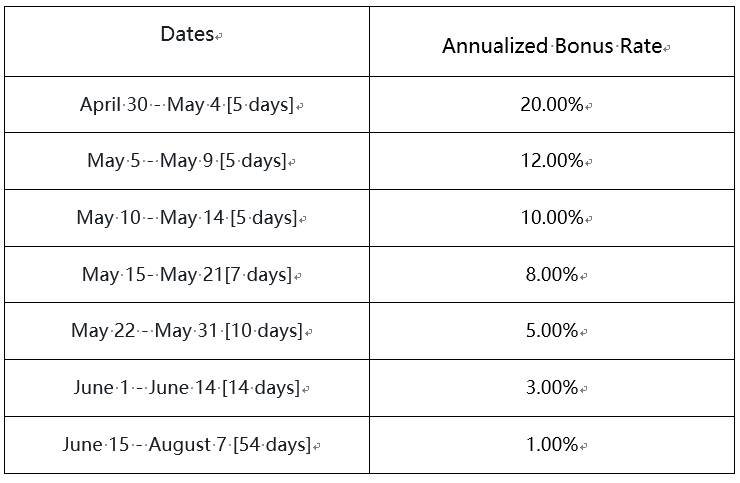 Token holders will receive airdrop bonus on a daily basis with up to 20% annualized bonus rate. We will update on the exchanges and wallets supporting the program in a timely manner. USDT-Omni is the USDT issued by Tether based on the BTC network. The currency is taken to the BTC network. The protocol used by USDT-Omni is the omni layer protocol built on the BTC blockchain network. TRC20 based USDT is the USD-pegged stablecoin issued by Tether on the TRON network. The token will be able to complete issuance, holding and transfer via smart contract on TRON, with a completely free and transparent process, zero transfer fee, and instant delivery; it will also be able to write programs that are highly expansible based on smart contract. If you would like to own TRC20 based USDT, you can perform the conversion at exchanges that support TRC20 based USDT. In addition, for exchanges and wallets that wish to support TRC20 based USDT, TRON will provide 24/7 professional technical support. Launched in October 2014, Tether was created in response to a clear market need to allow movements of funds quickly between different exchanges, while benefiting from the stability of the US Dollar. While there have been several alternative “stablecoins” launched since March 2018, Tether still enjoys market dominance. Created in October 2014, Tether was the first stablecoin in existence, and remained the sole stablecoin in the market until March 2018. Tether is disrupting the legacy financial system by offering a more modern approach to money. By introducing fiat currency — digital cash — to the Bitcoin & Ethereum blockchains, Tether makes a significant contribution to a more connected ecosystem by adding digital currency benefits, such as instant global transactions, to traditional currency and traditional currency benefits, such as price stability, to digital currency. With a commitment to full transparency and compliance, Tether is the most secure, fastest and lowest cost way to transact with money.